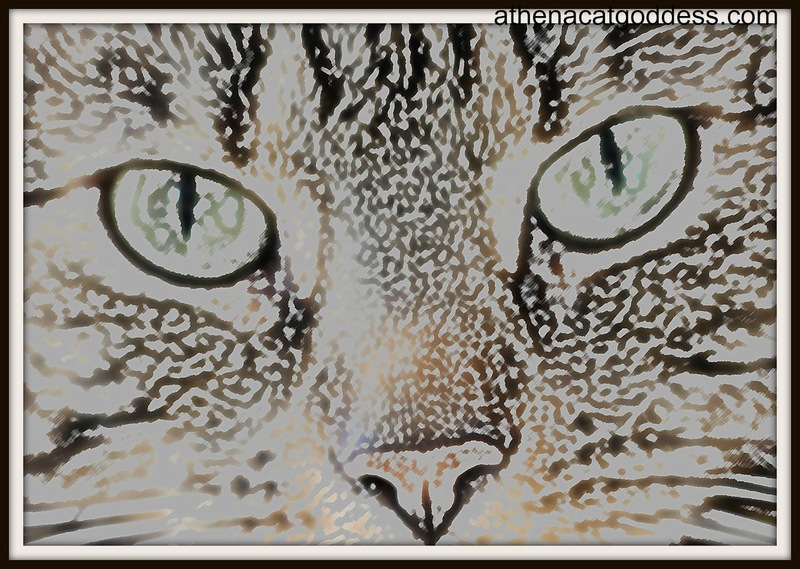 Another pencil sketch for you this week, and again Mum used Photoshop Elements 13 and the Artistic sketch filter. Then she made some adjustments to her liking, such as increasing pencil width to 15, Stroke pressure to 13 and paper brightness to 34. I really like how my eyes stand out in this. GRAB THE CODE HERE (for sharing all entries in the hop on your page). I love it, Athena! It kind of glows. That gives a nice effect ! PeeEss You don't have the linky code this week? That's strange! I found the code on the Feedly page!! Purrsonally we likes the way your cute little nose stands out. Very nice :) Your Mum always does a great job. FYI: Athena we're with Pepi we can't find the cod to add to our blog to let others know about the blog hop. We even check others blogs and can't find it like we did in the past??? Photoshop is pawsome. You can do so much with it if you know what you’re doing. Someday TW will learn. We added it at the bottom but we can't see it anywhere either. Sorry about that. Yous be lookin' good as usual. Luv da sketch fotos. Mommy likes da colored pencil ones specially cuz da eyes weally pop. The colored pencil effect is one of mom's favorites. Beautiful art as always. Your peepers look gorgeous there, Athena! Thank you all for joining us. We couldn't do this blog hop without you! Looking really good , Athena !